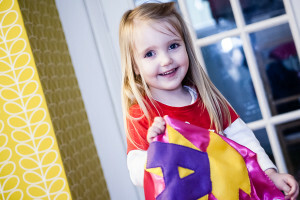 From little Superheroes to big Special Occasions. This post is part of a series of posts about Maidenhead folk. Not in a nosey, gossipy, spying on them kind of way, but as a chance to celebrate some of the local talent that we have here in the Royal Borough. 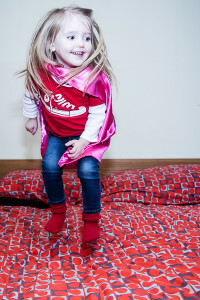 Since I’ve been writing this Maidenhead Mum blog I’ve found that I regularly cross paths with other mums that are working hard to balance their family life. Like me, they’re squeezing extra hours into the week to set up a business that follows their passions and gives them a better work life balance. Last autumn I met Jo from Perfect Friday Wine and you can read more about her story here…but seeing as the talents of Maidenhead Mums are widely varied, this post is about something completely different! But I’d like to challenge that. I think everyone should find a good seamstress. Now you might be conjuring up a vision of someone more at home in the Victorian era mending petticoats and stitching gentlemen’s waistcoats, but actually when you think about it, despite living on an age of mass produced fashion there are plenty of times that a seamstress can help you save the day and it’s a request that I often see on Facebook. I find that a lot of people are looking for someone they can call on when they’ve found the perfect pair of jeans but they’re a bit too long in the leg. Someone that can magically make all of their favorite tops and dresses fit, even when they’ve lost weight. And, even more importantly, someone that can take an ‘off the shelf’ or ‘off the internet’ wedding dress or bridesmaid dress and make it sculpt, flatter and fit like a glove. This last example has been a particular quest for me. I’ve been asked to be a bridesmaid twice over the last few years, for two very lovely best friends. Yet despite how much I love both of them, both occasions were pretty stressful when it came to finding a dress that suited me and the other bridesmaids, and was actually available in the right size. On both occasions I had to take a size too big and then get it taken in. All in all a stressful experience, especially trying to find someone I could trust to make the dress look right. 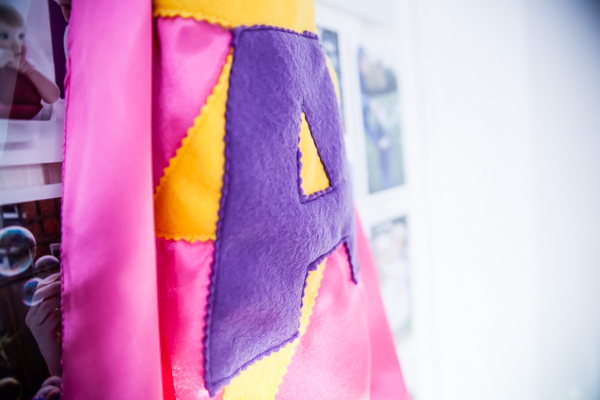 I’ll be honest, our paths crossed because I kept seeing handmade superhero capes being talked about in the social media groups in Maidenhead that I’m a part of. 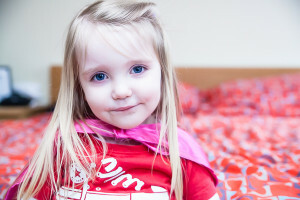 Having had a real struggle finding a superhero outfit for my two year old to wear to nursery on ‘Superhero Day’. (I’m aware this is all a bit #firstworldproblems and #middleclassmummydilemma!) I decided to get in touch with Jo. 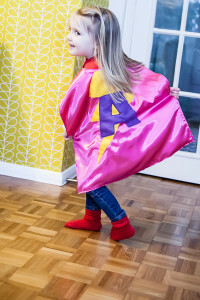 I thought that one of her personalised capes would be a great addition to the little one’s dressing up box, thus preventing any further night-before-dressing-up-day panic when nursery announce another character day. Anyway, back to the capes! I went along to meet Jo at her house (mission control) to find out a bit more about what she did. 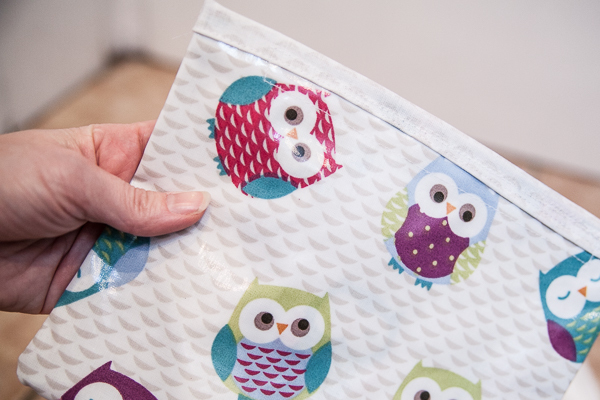 She showed me samples of lovely fabric that she had used to create various gifts for kids that she sells at local craft fairs as part of her range ‘Little Jem’. 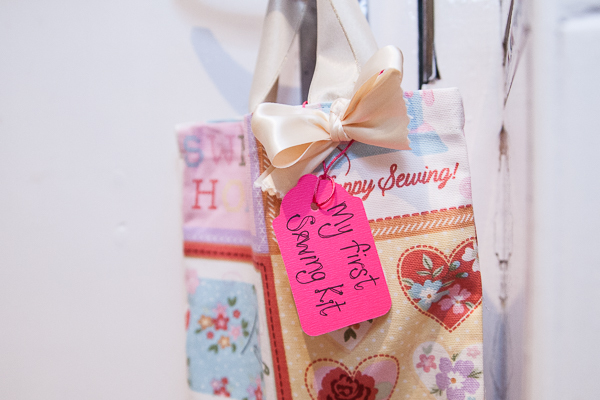 It features personalized capes, first sewing kits and lots of other items. 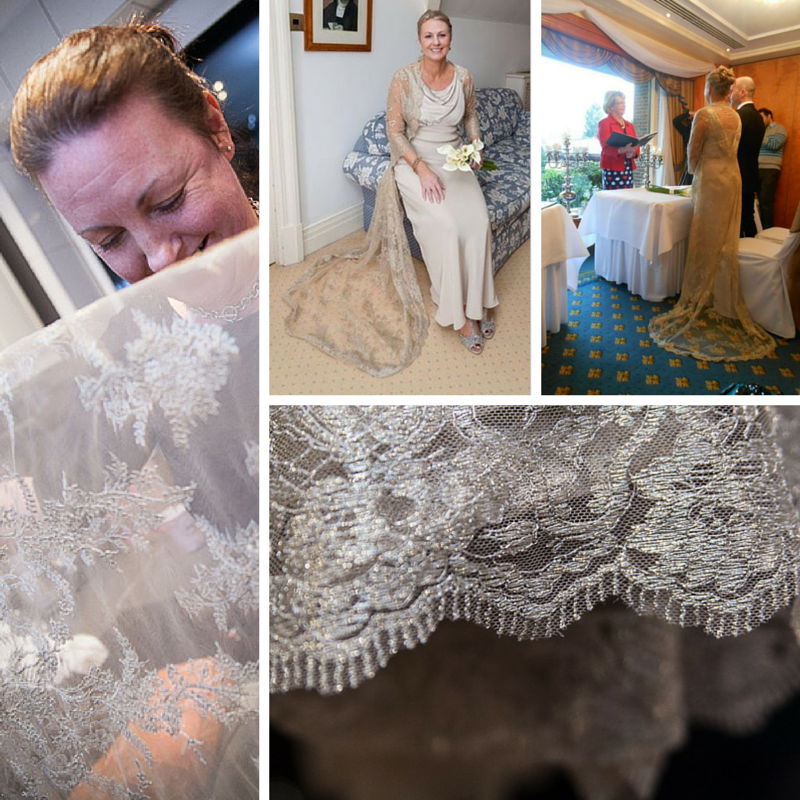 But Jo does much more than that and she went on to show me some embroidery that a client had asked her to do on some Christmas stockings and a sample of some beautiful gold lace that she was working on for a wedding outfit for a local bride. So much variety! And as we got chatting about dressing up outfits she showed me a shepherd’s outfit she’d put together for her son’s nativity play. In the same way that I’ve always wished I could actually draw, Jo made me hugely envious of her ability to ‘just’ whip something up that looked amazing! 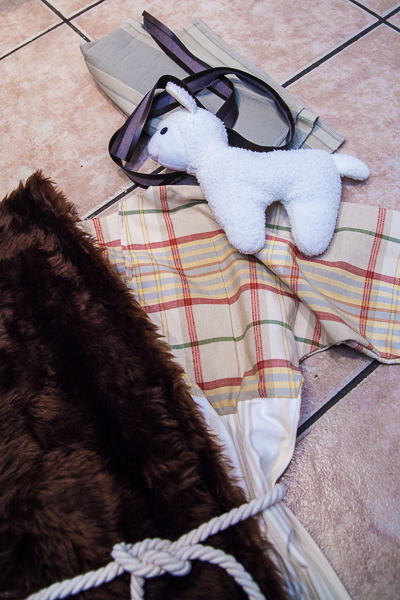 A shepherd’s outfit she created for her son’s nativity play. 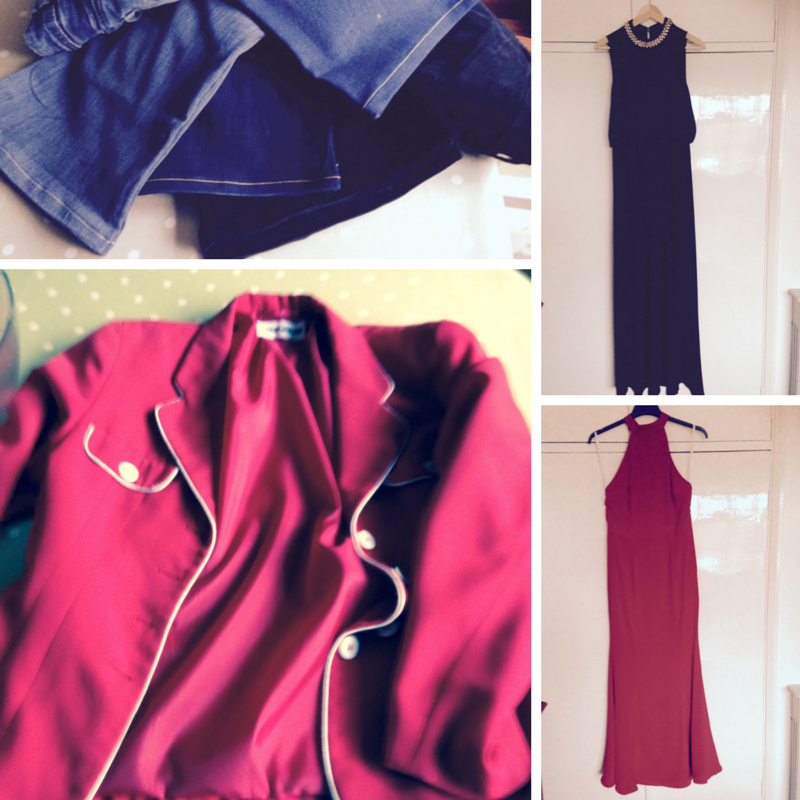 Just a few of the images Jo sent me of alterations she has done including jeans, relining a jacket and evening dresses that were taken in and shortened. Jo can work with luxury, complex materials like Lace to create something unique and beautiful. 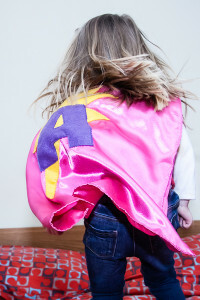 So, back to the capes (again) I chose personalized capes as Christmas presents for my daughter, my nephew and my cousin’s little boy. Pink and Purple for my daughter and blue and red for the boys. 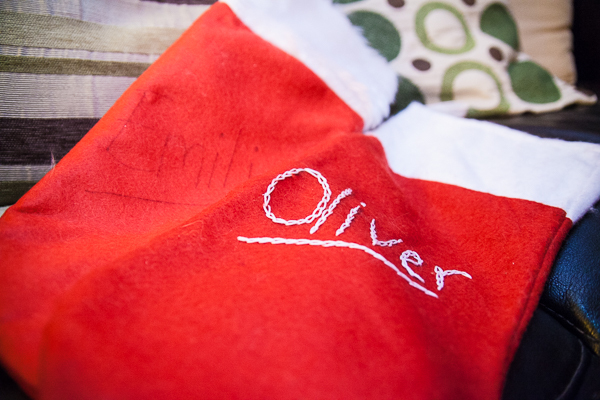 At just £12.50 they worked out to be a great Christmas present and the little ones loved to see their own initial on it. 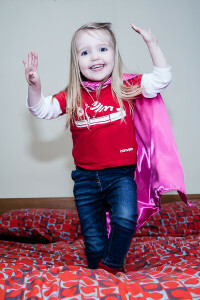 Take one rainy day in Maidenhead and add in a superhero cape and le voila! Your afternoon is transformed! 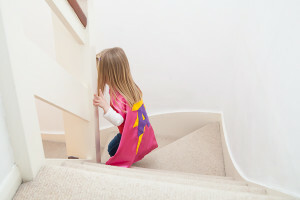 I’m hoping that reading this given you a ‘light-bulb’ moment and that you’re either rushing to have a rummage in the back of your wardrobe to find ‘that dress’ that you’d thought was un-wearable, or you’re doing some advance planning and dreaming up a super hero costume for your little one too! 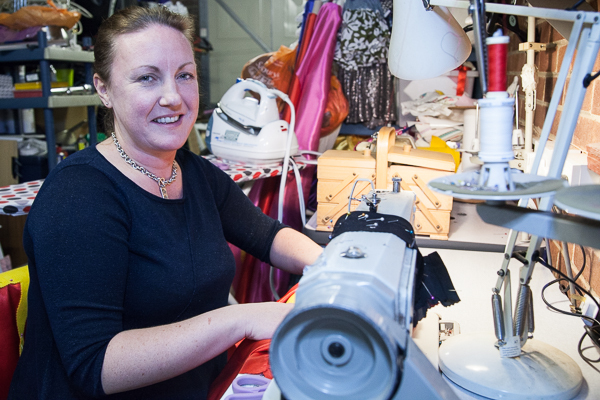 Whatever your quest, if you’re looking for someone who can do sewing alterations in Maidenhead there’s a strong chance that Jo is your lady. 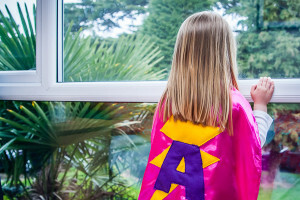 And if you’re reading this thinking ‘nope’, my friends have all got married, and my kids are into Frozen and not superheroes then I’ll let you into a little secret…this year’s theme for Maidenhead’s annual festival in July is Superheroes! 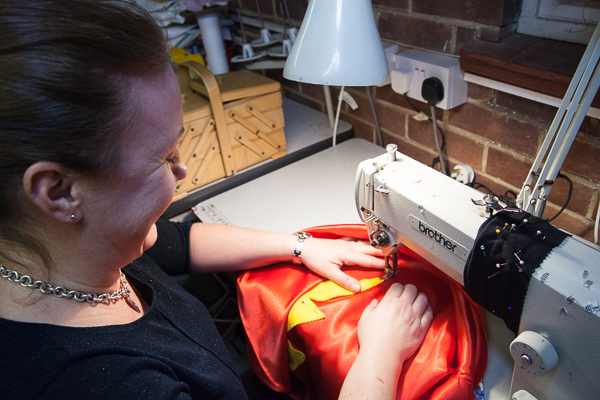 You may want to get in touch with Jo before she gets flooded with requests for costumes. 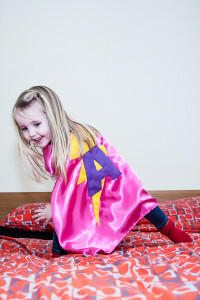 She can make personalized capes in kids and adult sizes too, just in case you want to join in. 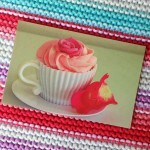 You can find out more about what Jo does on Facebook, or by giving her a quick call. 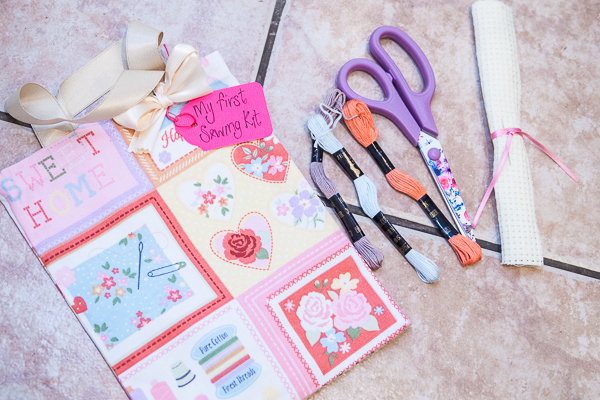 She’s so creative that it’s worth running some ideas past her to see what she can do. Definitely a useful contact to keep somewhere safe! 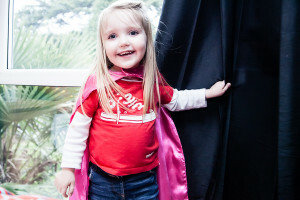 In return for writing this post Jo gave me one of her superhero capes for my daughter to review as part of this post. As always with my posts, I’m always be honest with my comments and reviews. Perhaps actions speak louder than words though – I’ve since bought three more… and have plans for a few more again. Oh and if any of my friends ask me to be a bridesmaid I know exactly who I’m going to call! 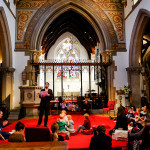 And as a final note, if you’re a Maidenhead Mum, Dad or local resident and you’d like your business to be featured on the blog, please get in touch!